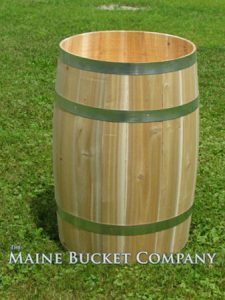 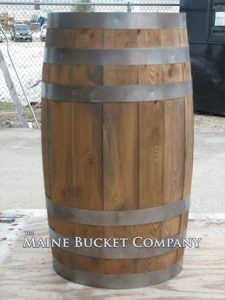 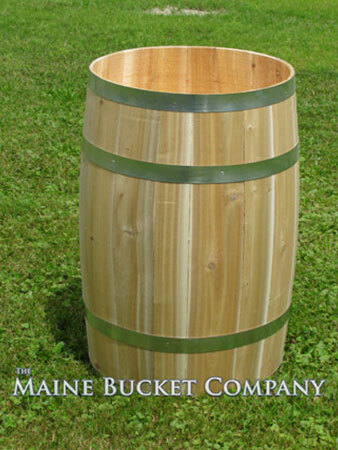 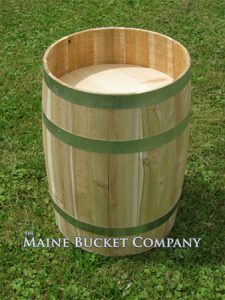 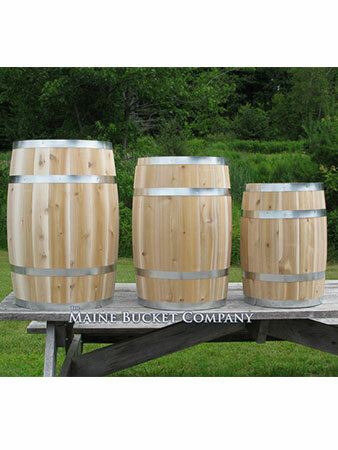 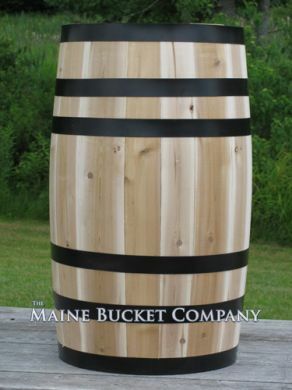 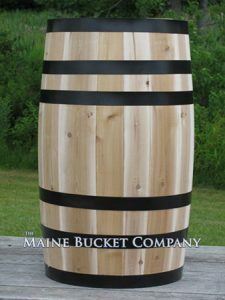 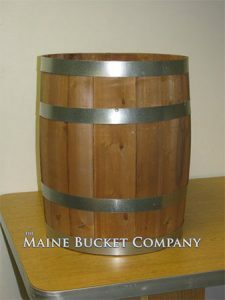 Closely resembling an authentic whiskey barrel, Maine Bucket’s barrels are lighter in weight and less expensive. 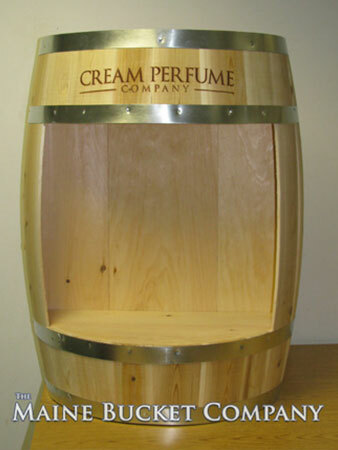 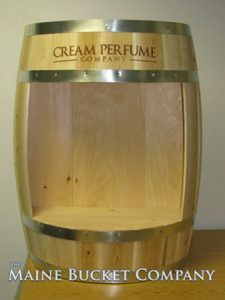 Create unique, attractive displays for all types of products. 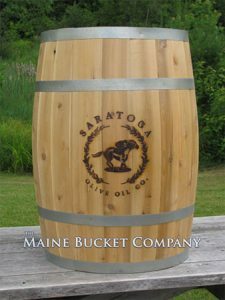 Logo placement via hot burning or stenciling provides the perfect opportunity to promote your brand, while creating consumer interest. Custom color match finishes available with a smooth or rough surface texture. 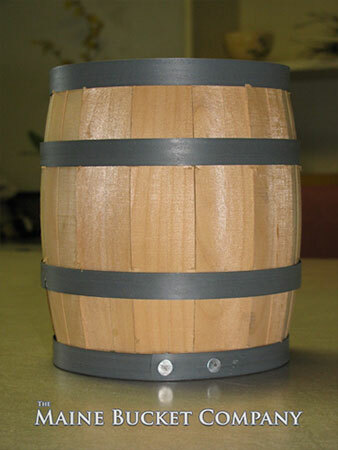 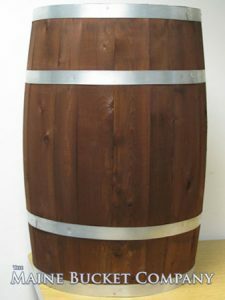 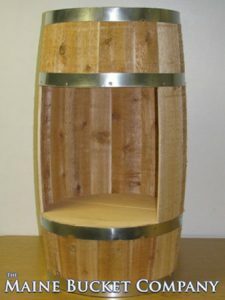 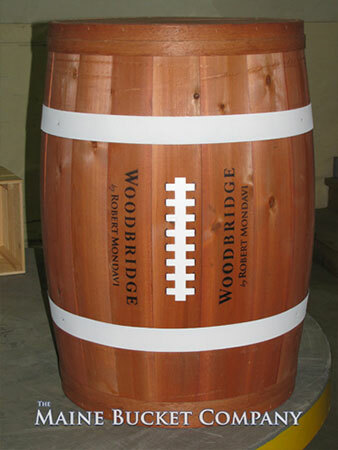 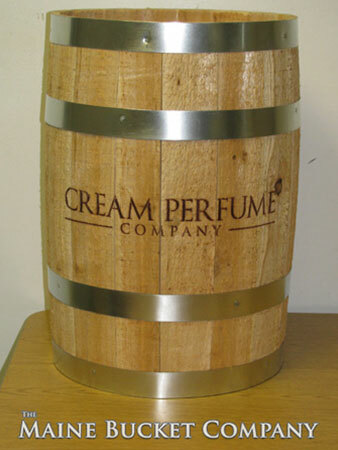 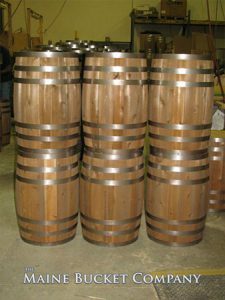 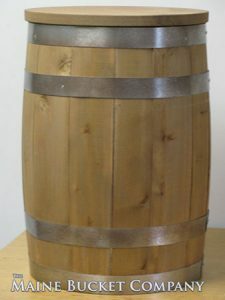 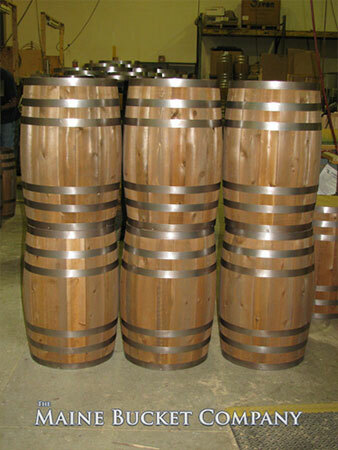 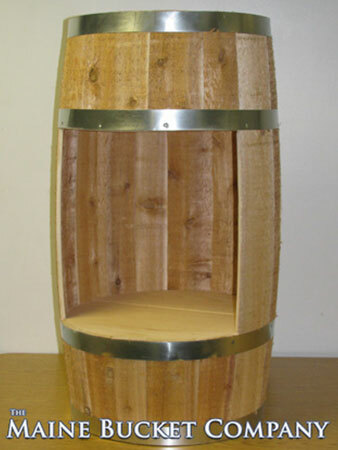 Metal banded barrels are custom and require a minimum order. 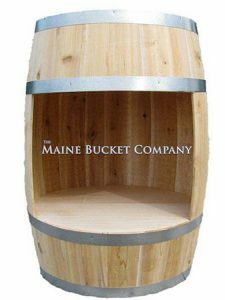 If you are interested in learning more about this product, please note there may be a minimum order related to the amount of customization required. 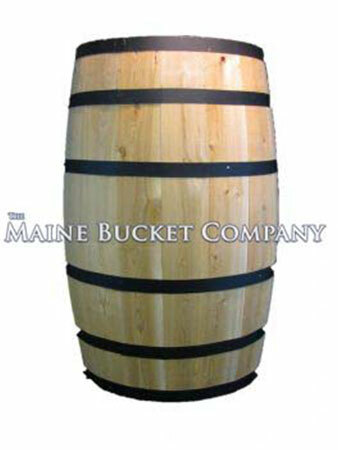 Call 207-784-6700 for more information or use our contact form to begin a discussion detailing your needs.